Are you looking to add a little zing to an otherwise boring meal. 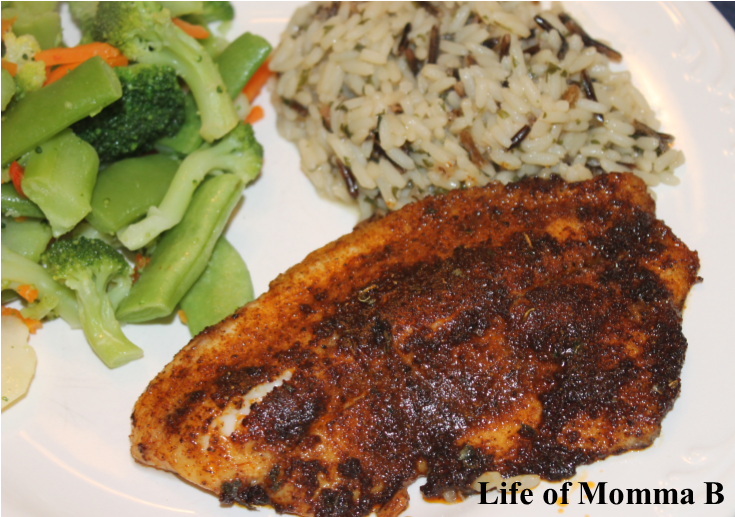 Try putting Blackened seasoning on your favorite fish. This blend of spices also works great on chicken. Just mix and store until you are ready to use. Mix all the spices and store in an airtight container. Sprinkle the seasoning mix on fish and allow to sit for about 10 minutes. Place a small amount of butter in a non-stick skillet. Once it is melted add the fish, spice side down. Cook for 3-4 minutes. Flip and cook until done. This entry was posted in Recipes and tagged chicken, fish, gluten free, main course, seafood, spice. Bookmark the permalink.